There’s nothing more I like to do on Sundays than take rides. I stock the car like it’s a motel, all amenities neatly arranged within arms reach, and tool through LA and vicinity photographing and making strategic pit stops at my favorite soul food restaurants. 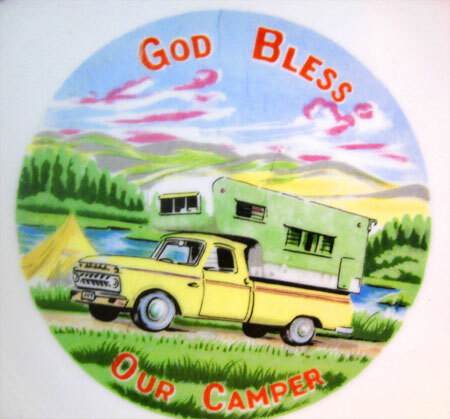 I’ve always dreamed of having a tricked out camper to make my rendezvous even more comfortable and have a selection of front mirror danglers, mud flaps and chasing lights license plate frames already purchased should the happy day ever arrive. 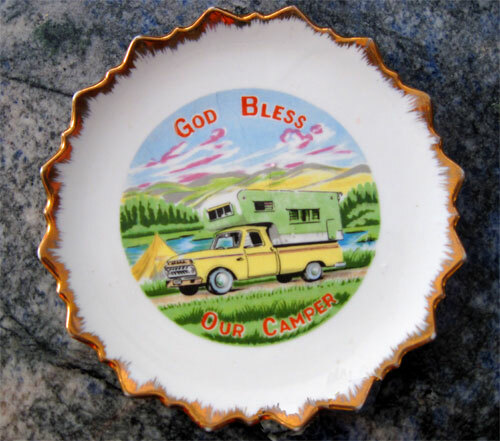 In the meantime, I content myself with camper memorabilia, of which this quaint porcelain plate is requisite.